Molasses is a very unique material and it can be a beneficial input on your farm in helping to promote the health and vitality of your soil microbial life. 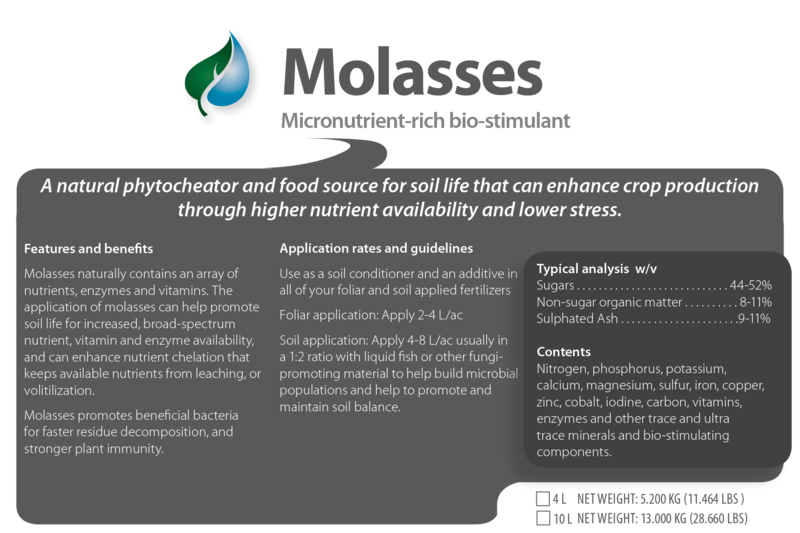 Molasses provides an effective, available source of carbon energy and carbohydrates to feed and stimulate the growth of beneficial micro-organisms so your soil life will flourish to create greater natural soil fertility. The increased microbial activity that you gain from adding molasses to your farm program results in increased nutrient uptake, which results in greater yield, productivity and overall crop health. Canadian organic standards now mandate the use of Certified Organic Molasses. Non-GMO molasses is suitable for sustainable farming or conventional farming. Please see the product called 'Molasses - Black Strap Organic' for organic production. 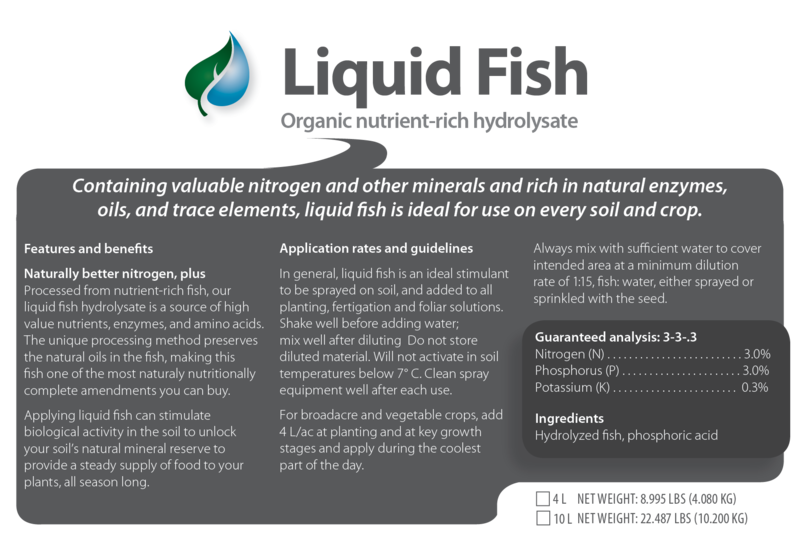 This product is available in bulk and quanity discounts are available.